LGBTQ people face similar barriers to advancement in the nonprofit sector as in the rest of the workforce. 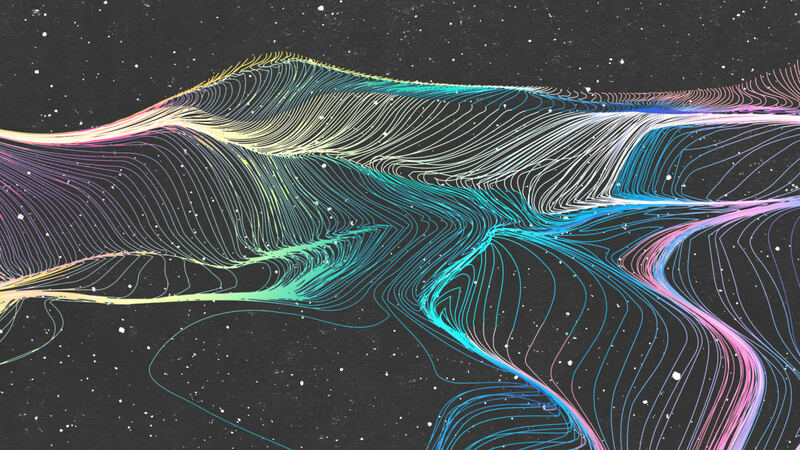 But LGBTQ people of color face added challenges because of the combination of racial bias and the nation’s patchwork of laws against discrimination on the basis of sexuality and gender identity. 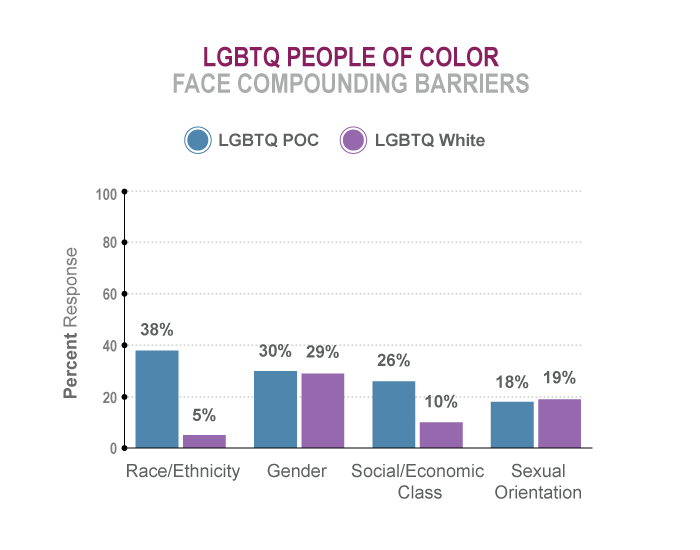 LGBTQ people of color face the dual effects of their race and sexuality on their career advancement. However, race was the most significant dimension impacting the opportunity to advance into leadership roles. 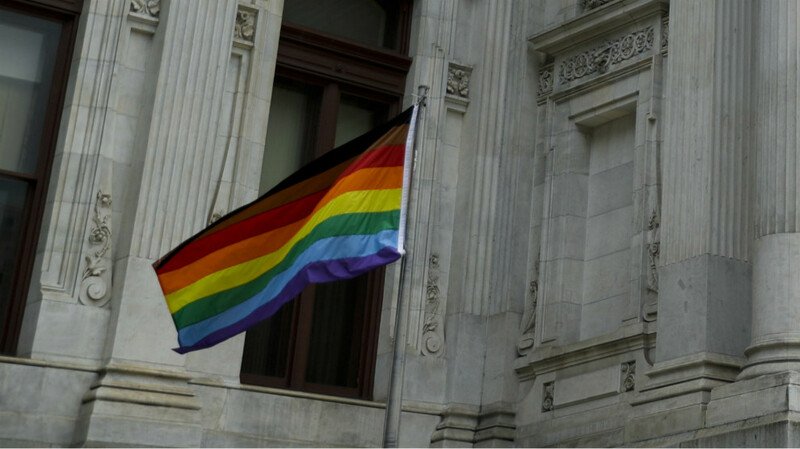 There were many instances of bias reported by LGBTQ respondents, and due to the patchwork of state laws, many LGBTQ people don’t have legal protections against discrimination in nonprofit organizations. 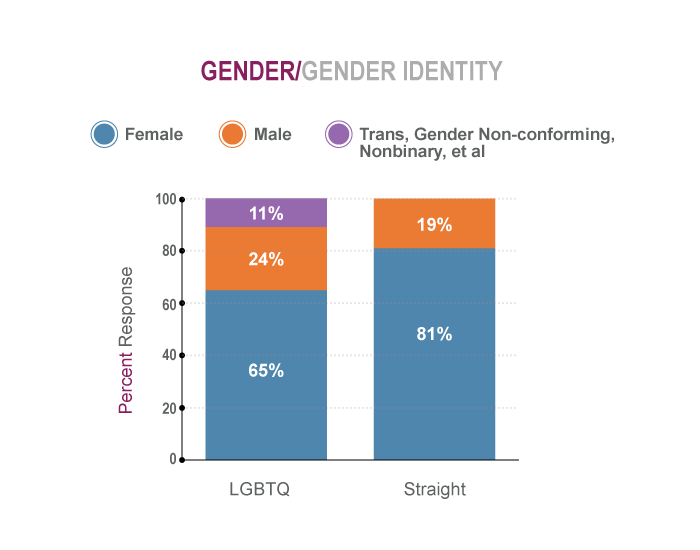 The LGBTQ subsample of survey respondents reflected a diverse range of gender identifications. 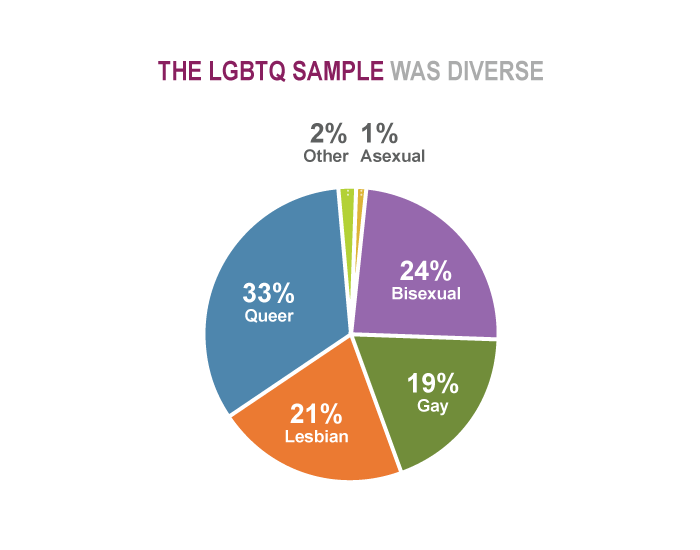 The respondents who self-identified as LGBTQ were diverse in their sexual orientation. reported working for an identity-based organization, whereas one-third of white respondents reported working for an identity-based organization. Kunreuther, Frances and Sean Thomas-Breitfeld (2017). 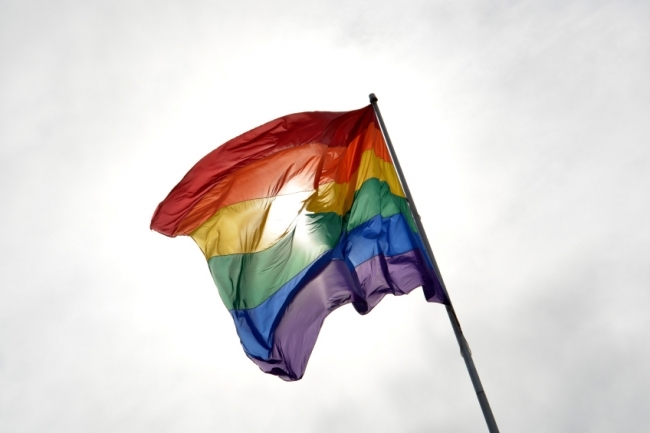 Working at the Intersections: LGBTQ Nonprofit Staff and the Racial Leadership Gap.